So far when it comes to Bendis’s Young Justice I have been finding the series to be just okay. 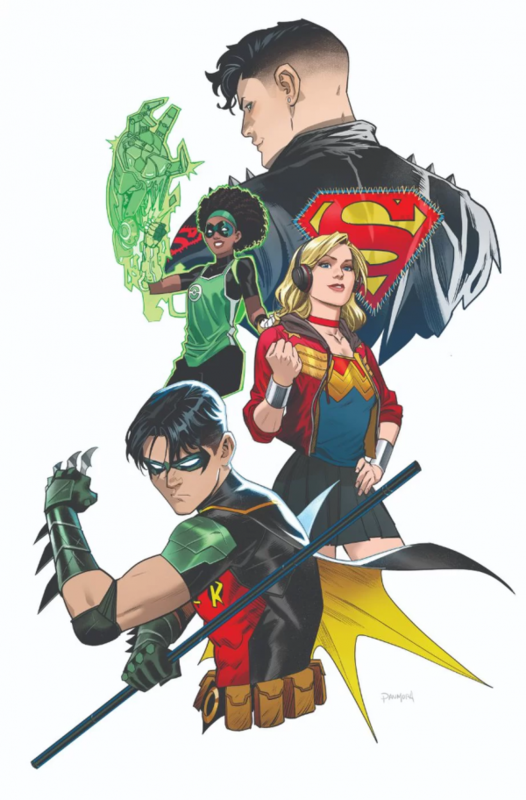 I have been liking the character interactions, between the old and new young justice members, but story-wise it has been weak overall. The plot hasn’t really progressed in the first issue and there isn’t really any explanation as to what Gemworld is and how it functions. Having said that, it is a good thing that this latest issue solves most of the problems that I had with the plot. The issue is split in two, with the main crux of the issue focusing on Gemworld and what led to the events of Amethyest and the other heroes getting captured. Whilst the other half is focused on Connor Kent and Bart Allen. The issue reveals that the political situation is split in Gemworld as Ametheyst believes that the other rulers of Gemworld should bind together and take out Lord Opal’s forces, whilst the other rulers feel they should take a more pacifistic approach. This whole interaction proves that similar to his Superman work, Bendis understands why Young Justice as characters are important. They are important because they usually feature young characters that older heroes tend to look down upon because they are young, and sometimes it is up to these young characters to ignore the adults and do what they believe is best.